The DP600II Flash Head from Godox is a full-featured 600Ws monolight with several professional and convenience features. The head has a color temperature of 5600K, a recycle time of 0.3-1.5 sec, and flash durations from 1/800 to an action-stopping 1/2000 sec. Power is variable from 1/16 to full power, while the DP600II's 150W modeling can be set to a percentage or proportional to the flash power to allow you to accurately preview your final shot. All of these functions can not only be made manually on the unit, but also wirelessly via the head's built-in Wireless X System receiver. Remote operation requires separate purchase of a transmitter. The XT16 and FT-16 remote controls provide wireless control of power, modeling light, and ready beep signal, while the X1 TTL trigger provides all of those plus TTL exposure technology. The DP600II has a Bowens front accessory mount that makes it compatible not only with Godox light shapers, but with those made by the many manufacturers who use this mount. With built-in Godox wireless X system, DPII-series studio flashes offer build quality, fine control on flash power, and stable flash output. Additionally, they fit a wide-range light shaping accessories in the market. Box Dimensions (LxWxH) 18.5 x 10.0 x 8.9"
Godox DP600II Flash Head is rated 5.0 out of 5 by 2. Rated 5 out of 5 by Richie from A clean, efficient, powerful flash unit and a great value! This is a very versatile flash unit with easy to set strength settings from 1/16? to full power. The modeling light can also be adjusted so as not to overheat?the strobe tube. At 600 watt seconds, this is a powerful light. It plays well with other strobe units as it has a built-in?slave. I love this unit and plan on buying another one soon. Rated 5 out of 5 by Brennan from They are good but!! I blew it up - cuz Im dumb This is a GREAT! Strobe set! As part as my job I have to shoot about 1500 stills at f22 indoors 100s and 320iso (Dont ask why) . Now these are great, and have been working well. Usually have to shoot like this every other day. So after about 1480 non-stop still fires at 1/2 power, One of three strobes got toasted. I opened it and saw that I blew up the capacitor , easy to open and easy to fix. I will be buying more and more of these strobes. To be clear In the instructions it says Do not shoot more than 30 stills in a row without at least a 3 minute cool down These strobes can definitely take some serious abuse and I put that to the test for sure... If used properly and not completely abused, I feel that I can use them for a long time with no problems. Is for AC110v current or AC220v? 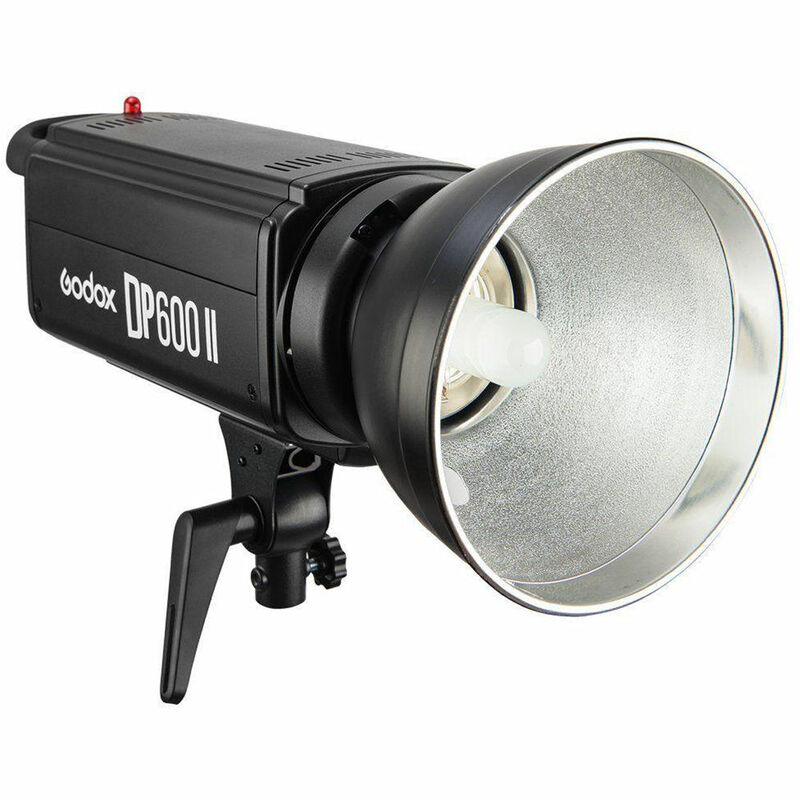 The Godox DP600II Flash Head, B&amp;H # GODP600II, is designed for use on 100-120 VAC, 60 Hz voltage.